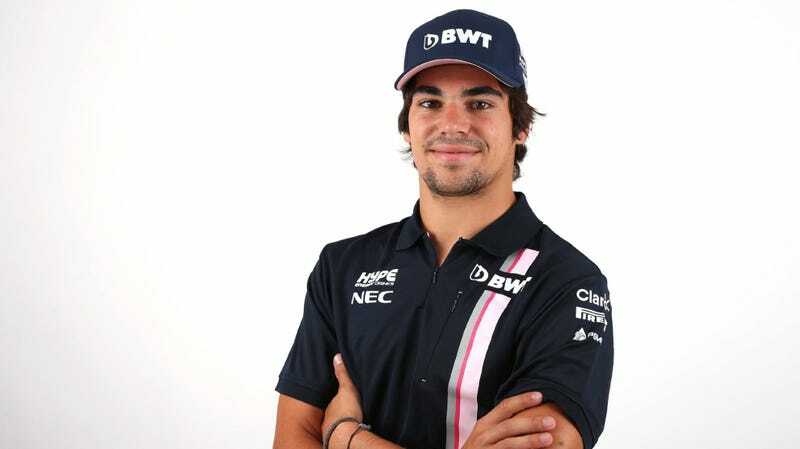 Formula One driver Lance Stroll, whose father spent a reported $80 million to help get him onto the Williams F1 team for 2017, will join Force India next year in place of Esteban Ocon, who has a development contract with the dominant Mercedes F1 team. Stroll’s father bought Force India a few months ago. After Stoll’s father—clothing tycoon Lawrence Stroll, who ranked No. 887 on the 2018 Forbes billionaires list—bought the struggling Force India team while it was in administration, the Telegraph wrote that Lance Stroll wasn’t a fan of the “rich-kid caricatures” of him. “I felt that the way I was criticised was not entirely fair,” he says. “Obviously I’m struggling right now in a difficult car, but I have done a lot to prove that I’m not here just because of my family’s wealth. “I won championships and races and earned my super-licence to get to Formula One. Of course, I was very fortunate to be in the position I was in, but at the same time I delivered. I think I deserve a bit more credit. As for Ocon? Sure, he’s out of a ride or whatever, but even before he officially and inevitably lost the spot on the Force India F1 team, he just didn’t get it. He’s from a different background, Lance Stroll said in August. “Drivers don’t always know all the pieces of the puzzle behind the scenes,” Stroll says. “Potentially, my father buying this team can make it a much better team, much more competitive. It’s not, in my eyes, a big negative. Regardless of how everyone actually feels about each other, Ocon will have an entire year to think on his views about “how things should be,” like Lance Stroll alluded to in August. He won’t have roughly 21 F1 races to compete in, after all. Speaking of competition: If you thought five-time champion Lewis Hamilton was the winningest entity currently in F1, you were wrong. The real winners are nepotism and money. They always are.